Now when I say we love entertaining, that might be an understatement. We love having family and friends over. We love planning a good party, making good food and hanging out with good people. This really livens up our house during the holidays! I always like to have a couple of appetizers that can be ready in minutes. 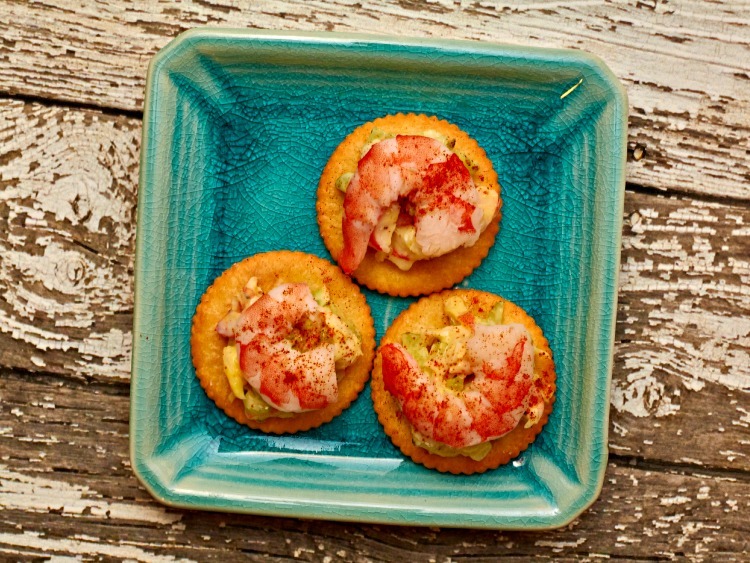 This Southern Shrimp Salad Ritz Toppers recipe is one of those recipes that can be made in advance. Then you can make them on an as needed basis or when guests stop by. 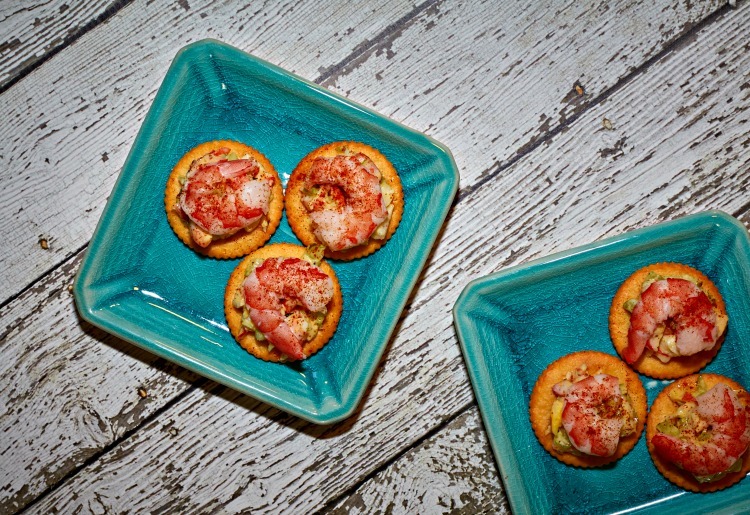 These Southern Shrimp Salad Ritz Toppers are delicious party food has quickly become one of our favorite recipes. The kids asked us to make them twice since we brought them to an event and we like them just as much. 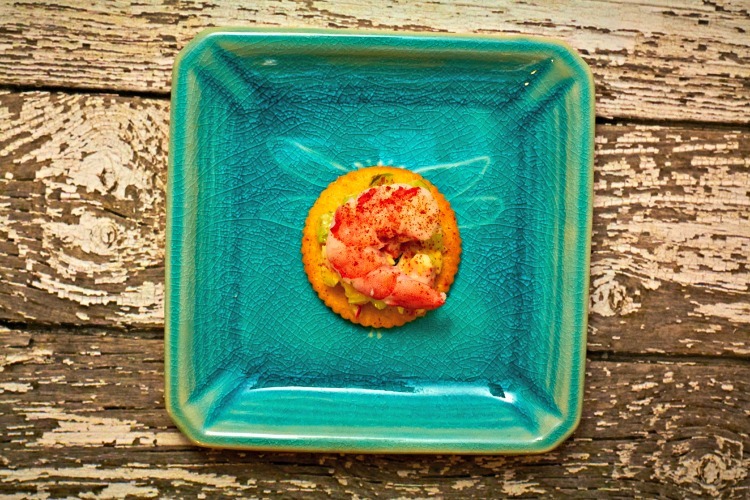 We made one adjustment to the original Nabisco recipe and added a half Shrimp on top of the shrimp salad and cracker. We can always use more shrimp, right? Cut 18 of the shrimp lengthwise and set aside. Chop the rest of the shrimp. 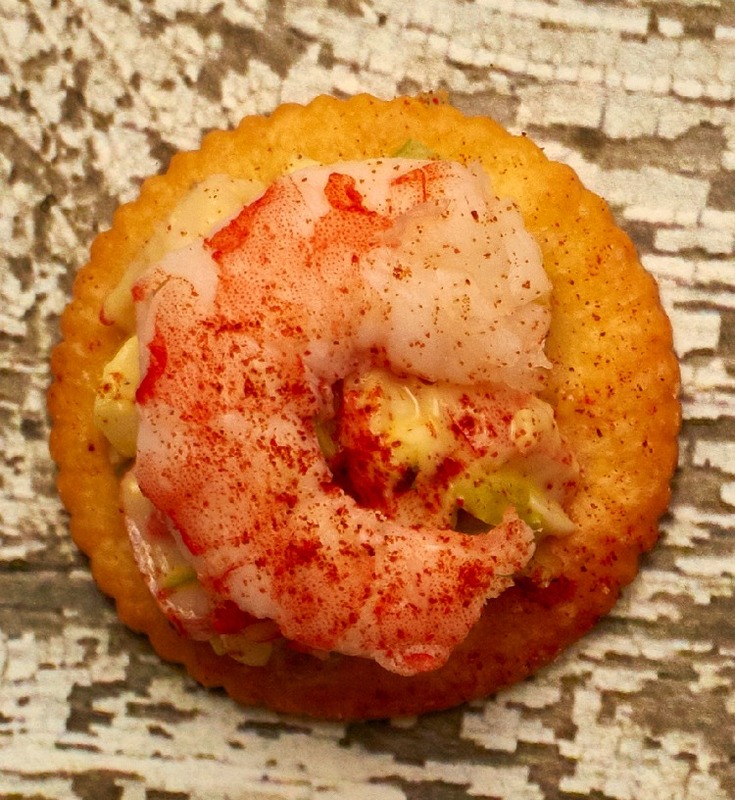 Mix all ingredients except RITZ Crackers, sliced shrimp, chives, and paprika. Spoon about 1 Tbsp. 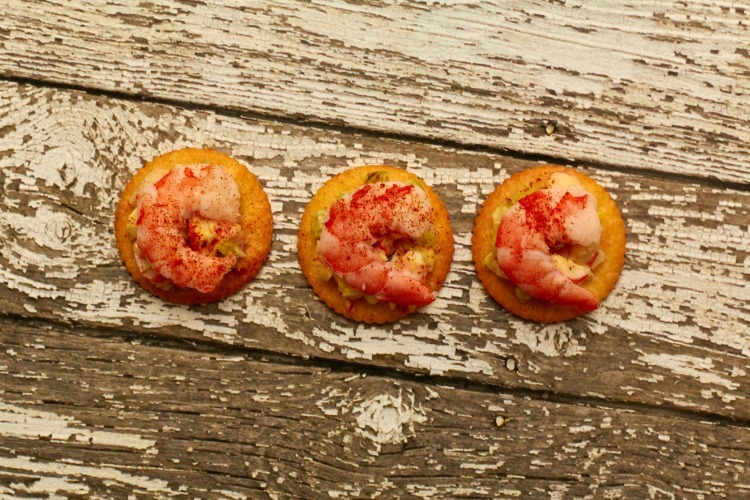 shrimp salad onto each RITZ Cracker. Top with one piece of the sliced shrimp. Sprinkle with snipped chives and paprika. 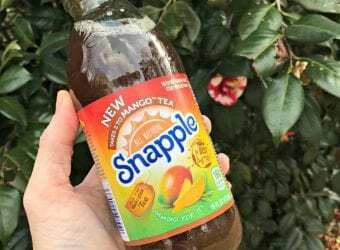 They have so many fabulous types of toppers that if shrimp is not your thing, there is certainly something there you will enjoy. But seriously, I never say no to shrimp. Try the Holiday Shrimp Toppers, Garlic Shrimp Toppers, Chorizo & Egg Toppers or Ritz Butterfly Toppers. Looking for holiday party recipe inspiration? 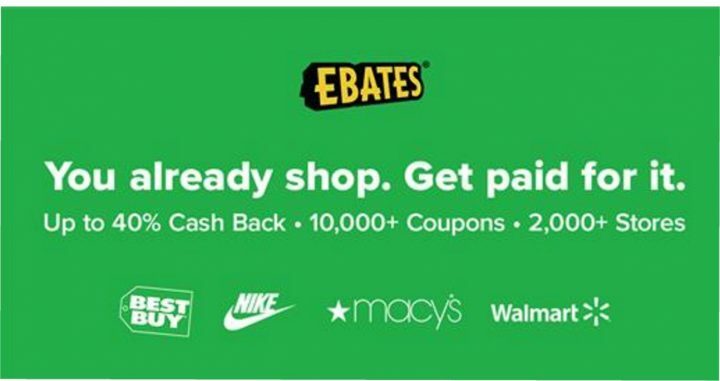 The Ultimate Party Planner website from Nabisco and Publix has got you covered. 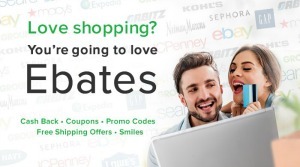 You will great recipes, savings and more. Visit your local Publix to pick up everything you need for a festive holiday. That sounds so good. It’s perfect for all the upcoming Christmas parties over the next few weeks. This looks really yummy. I may make this for my upcoming Christmas party. Thanks for the recipe. These look great. I love shrimp, when I was a kid I would eat them with the tails and all. I love shrimp and could eat it every day. I love these little snacks! The presentation alone is great. 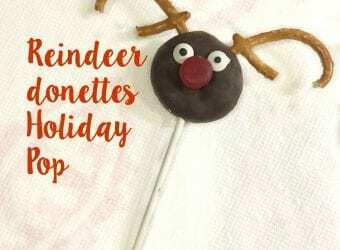 They look very appetizing and would be a hit at any holiday party! This is such a perfect party snack! They could probably work well in kids’ lunches too. The perfect party treat–I love one-bite hors d’vours. These would be so perfect for a holiday party. Ritz are always a hit! Now THAT’S a snack cracker creation I can totally get behind. Yum! I’m suppose to take appetizers to my m-i-l’s on Christmas Eve and these will be perfect! We all love shrimp! Ummm these look good and I bet they are delicous. I aso like how fancy looking they are, even though its a simple recipe it looks much more complicated. oooh I need to make these for my husband he would feel so spoiled! He loves this kind of stuff! These sound fantastic. They would be a fantastic appetizer for the holiday season! Those look pretty tasty. Thanks for sharing. That looks like an appetizer that would get eaten up in an instant! And then everyone would ask you for the recipe! 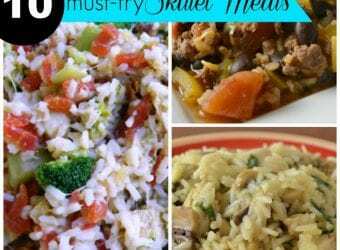 These look so good and easy to make! Definitely whipping some up for my holiday parties. These look really good. Ritz is a great party appetizer. I love how versatile they are to use. Shrimp appetizers are definitely for me! I would gobble these up! What a tasty appetizer for our holiday party. I’m afraid I’d eat them all myself! Thank goodness they are bite size with Ritz crackers! Oooh, what a great idea! Thank you!